Sam Englender grew up in Metro Detroit. After graduating from Michigan State University, Sam moved to Israel where he worked for the Jewish Joint Distribution Committee (JDC) and as a project manager in the Hi-Tech world. 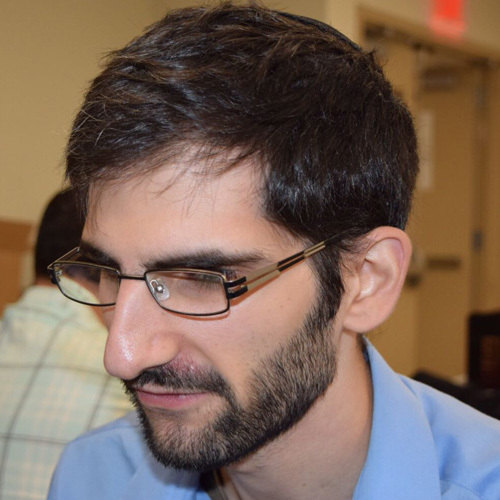 His time at Pardes Institute of Jewish Studies’s Year Program ignited a love of Jewish text and a desire to bring the full wealth of Jewish tradition to those who do not have access to it. Sam has had the opportunity to teach Torah in multiple contexts through internships at Hunter Hillel, SAR High School and the Beth Sholom Congregation in Potomac MD. Sam looks forward to joining the Hebrew Center in West Hartford as the Director of Pastoral Care.